Fan of the Botanic Garden? 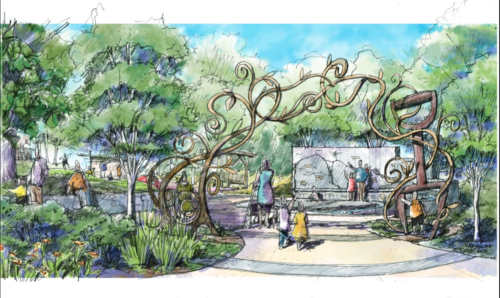 Celebrate New American Gardens! Even though I’m pretty sure we’ll have another shutdown after February 15, I’m so excited to know that all the Smithsonians are back and open to the public. You heard from our friends at the Postal Museum earlier in the week. Today, the United States Botanic Garden –another backyard gem, although one that was funded during the shutdown– opens “Celebrating New American Gardens,” a new exhibit celebrating exceptional public gardens that have open or been renovated within the past five years. You can go to the special Botanic Garden’s website dedicated to this exhibit here, or you can visit the conservatory’s West Gallery starting today, January 31, through October 15, 2019.